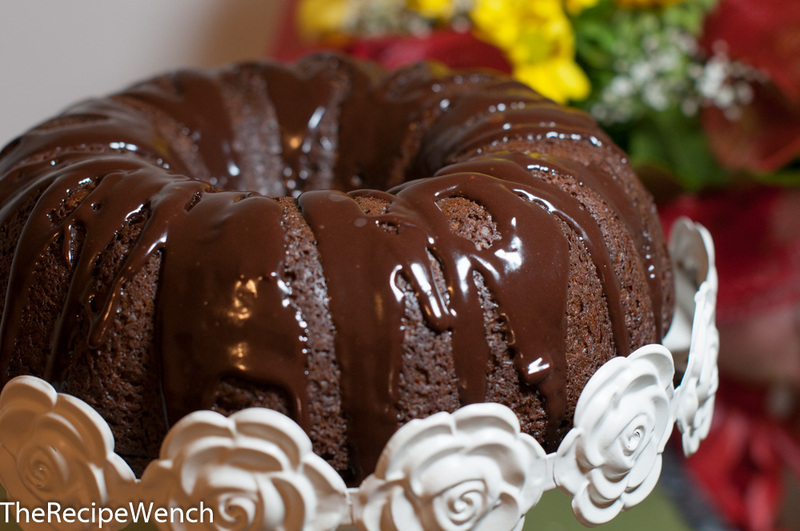 Seems like there are variations of this Kahlua Cake for every day of the year! My ol’ work friend, Michelle, shared her recipe with me many years ago. I made a couple tiny adaptations to Michelle’s recipe just to highlight the Kahlua flavor. I figure if it’s called “Kahlua cake,” you better make sure it tastes like Kahlua, right? The moistness, the texture, the flavor — all amazing! This Kahlua Cake is super moist and delicious. The bonus is that it is really fast and easy to put together and makes a gorgeous presentation. This is a recipe given to me by my friend Michelle a long time ago. I made just a couple changes to give the cake a little more Kahlua flavor. I've made this cake so many times and it has always been well-received. In large bowl, mix together cake mix, pudding mix, oil, eggs, sour cream, 1/3 cup of the Kahlua. When everything is thoroughly combined, stir in 6 ounces of the chocolate chips. Pour into greased bundt pan and bake for approximately 1 hour. Cake is done when toothpick inserted into cake comes out clean. After cake has cooled 15 minutes, remove from pan and allow to cool completely. Over low heat, combine remaining 6 ounces chocolate chips, dark corn syrup and butter until chips are melted. Add Kahlua to taste as well as a little milk to thin the icing out. Drizzle icing over cooled cake. Yum! I got a bundt cake pan for Christmas and have not used it yet, I think I will have to remedy that with this recipe! That's great, Ashley! Let me know how it turns out for you!